Here is a map demonstrates territory of Russia. free map of Vorkuta for Garmin. detailed map of Sovetskiy и OziExplorer calibration presented. free map of Tsementnozavodskiy presented. map of Severnyy with gps calibration presented. free map of Sedlovaya calibrated for you. interesting map of Oktyabr'skiy for you. 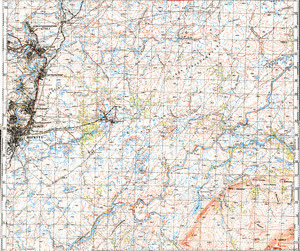 map of Gornyatskiy и OziExplorer calibration here.